The Independent National Electoral Commission,(INEC), will today, Thursday, March 28 conduct the supplementary governorship election in Adamawa State. The election will hold between 8a.m to 2 p.m in 29 Registration Areas (RAs), 44 Polling Units across 14 LGAs with a total number of 40, 988 registered voters. Before the initial March 9 elections were suspended, the Peoples Democratic Party candidate, Hammadu Fintiri, was leading after polling 367,471 votes while the candidate of the All Progressives Congress, and incumbent governor of the state, Jubrilla Bindow had 334,995 votes. Naija News will be on the ground to provide up to date account of the voting process. Keep refreshing the page to get the latest news. 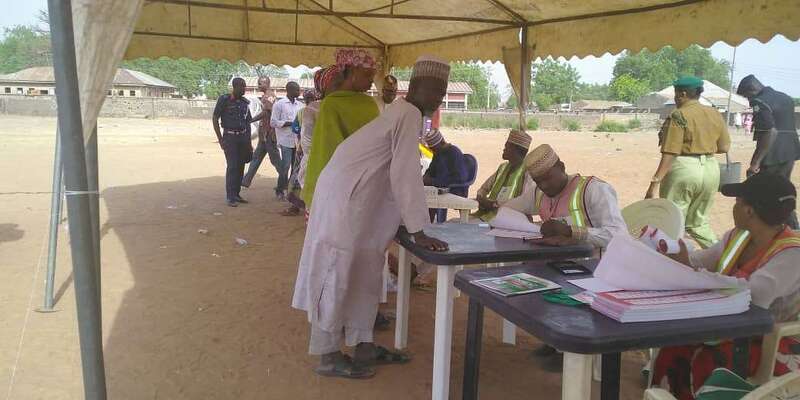 10:59 AM – APC agents fail to show up at polling units. 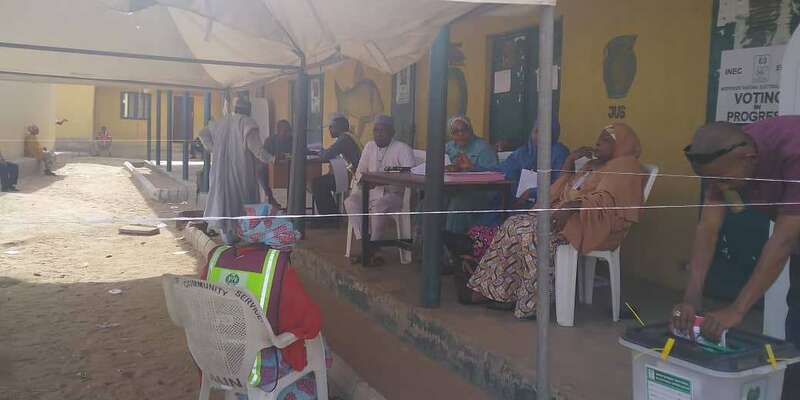 10:23 AM – The polling booth opened by 8am at PU 008, Mustapha Primary School, Bako Ward, Yola South LG, but the officials have mostly been idle due to very low voter turnout. 9:51 AM – Voting is still in progress at PU 007 Mustapha Primary School, Bako Ward, Yola South LG. 9:30 AM – Voting going on peacefully at PU 017 Viewing Centre, Ngurore Ward, Yola South. 8:54 AM – Turn out of voters is reported to be very low across the various polling units but the process has been largely peaceful. 7:50 AM – Electoral officials arrived early at polling unit 004 in Ngurore ward of Yola South Local Government Area.